Suffering from a deep economic recession, Turkey has seen the highest rate in 10 years in unemployment in the December-February period with a 3.9 percentage point increase, the Turkish Statistics Institute announced on Monday. 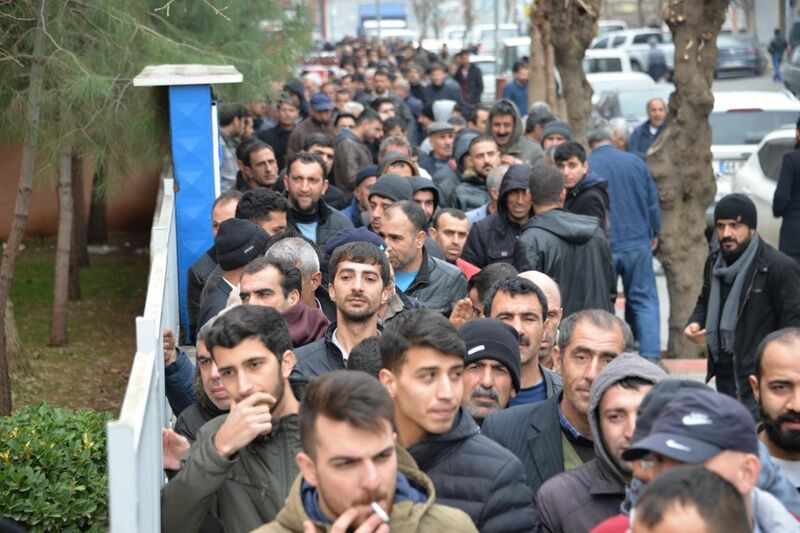 The Turkish unemployment rate surged to 14.7 percent according to official data, while non-agricultural unemployment stood at 16.8 percent in the same period. According to data, the number of unemployed people aged over 15 increased by 1, 259 million to 4,668 million in the period of January compared with the same period of last year. The number of employed persons decreased by 872 000 to 27,157 million people. 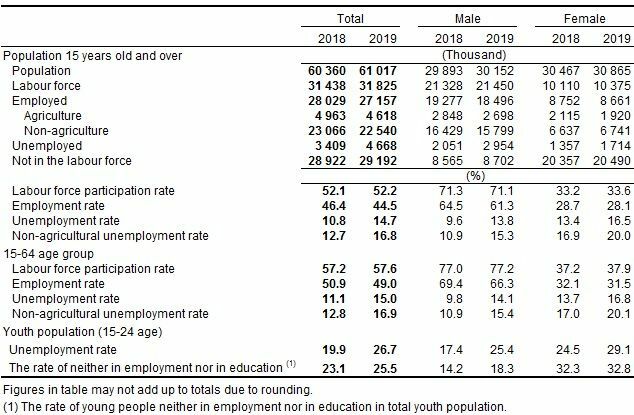 Youth unemployment rate regarding persons aged 15-24 has seen a 6.8 percent increase, and for the persons aged 15-64, it hit 3.9 percent point higher. Unemployment was at 14.5 percent during the November-January period, and non-agricultural unemployment was at 15.6 percent. Turkey had seen an unemployment rate as high in 2009 with 14.7. New numbers underscore the economic hardship the Turkish government faces, also mirroring Turkish companies are shedding workers. Many companies have recently filed for bankruptcy or restructure their debts. The unstable Turkish Lira fell by 28 percent against the dollar in 2018, inflation reached its highest level in 15 years with 25.2 percent. While President Tayyip Erdogan’s ruling AK Party government has managed to hold the inflation at 20 percent currently, it seeks a reverse in economic crisis with tax cuts and support to indebted businesses.